Don't let government surveillance interfere with joining the National Lawyers Guild | Jon Katz, P.C. In 1988, I became a student member of the National Lawyers Guild, and renewed my membership a dozen years later when working with the group to defend anti-IMF/World Bank protesters. Had I not already joined back then, I would have joined today — despite my fierce disagreements with the group (see here and here) — in part over this week’s New York Times report about how extensive was the FBI’s undercover surveillance of the group under J. Edgar Hoover, to the tune of at least 400,000 pages of documents accumulated through the FBI’s investigations and research. (How Hoover and his ilk kept track of so many pages before the age of the personal computer is beyond me). In the meantime, I retain hope that I will find enough like-minded lawyers to start a new organization that will pursue the best traditions of the Guild, but will cut out its excess of knee-jerk and one-sided support of anti-Israel campaigns, its general reluctance to give First Amendment legal and demonstration support for anyone other than "progressives", and its willingness to curb free expression rights if that will serve the remainder of its "progressive" agenda (e.g.. with its siding against the First Amendment in the Supreme Court’s case involving greater punishment for burning crosses than for burning other items). Until such a new organization is created, the Guild fills a critical void with a nationwide stable of courageous — and often very likable and fascinating — lawyers and legal workers who do not join the Guild to burnish their resumes, but join with a strong, and usually fierce, devotion to justice as they define it (even though my sense of justice is not going on a mission to North Korea without at least confirming to the North Korean government that the visitors still have strong reservations about the nation’s human rights abuses). 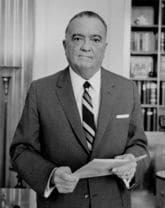 Even now, long after J. Edgar Hoover is gone from the FBI’s helm, Guild Executive Director Heidi Boghosian probably is not farfetched when saying: “We work with the assumption that everything we do is being monitored by the government… Unfortunately, we’ve become used to surveillance.” Such surveillance amounts to a waste of tax dollars and government resources, and government urination on the Constitution. Jon Katz.